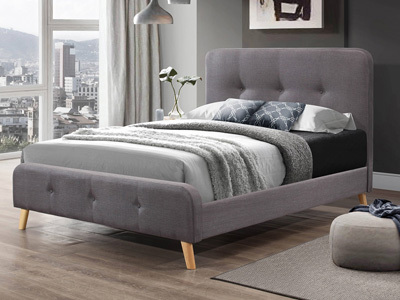 Our fabric beds come with an almost limitless range of colours and sizes, which allows you to match your bed with any existing furniture or curtains. 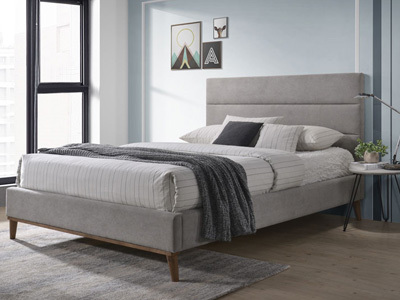 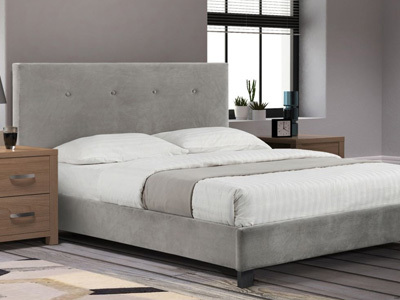 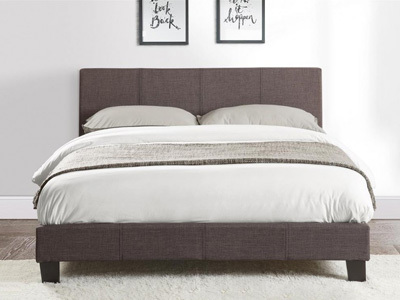 Most of the established manufactures on our site use high-quality chenille, leather or micro-suede to upholster a fabric bed frame to provide that extra level of security and comfort. 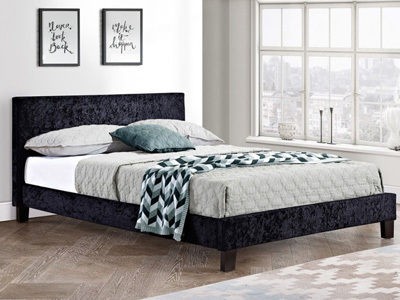 In recent times, velvet has also become a popular choice, allowing you to add that contemporary feel to your bedroom. 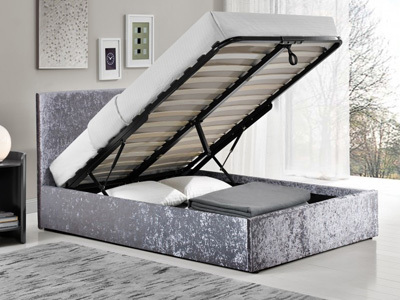 Bedstar’s range of fabric beds are second to none and come in a grand variety of sizes from single, double and kingsize beds. 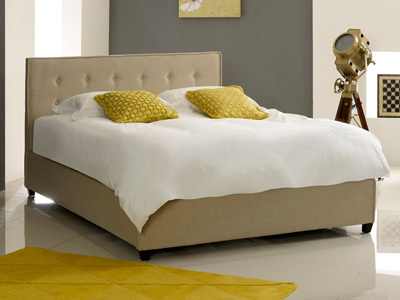 Why not opt for a fabric bed that comes in a contemporary design with modern colours? 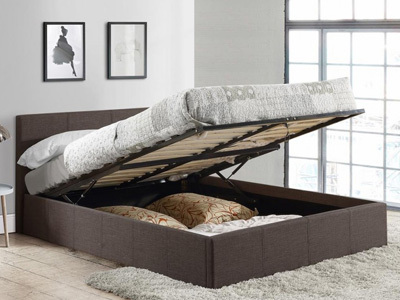 After all, the perfect bed could well be the main focal point of your room. 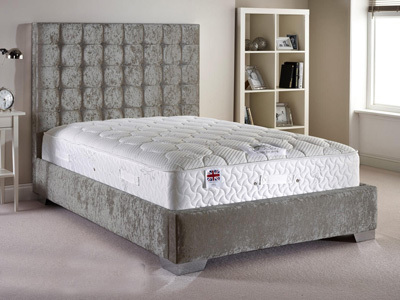 And with next day delivery available on a range of our fabric beds, you could be sleeping in absolute comfort tomorrow night. 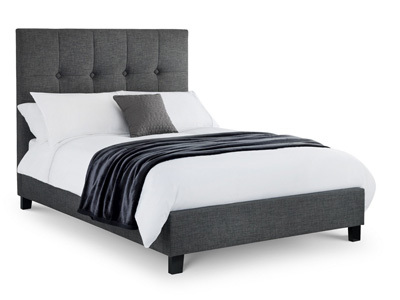 Bedstar stock a grand range of fabric bedsteads in super kingsize (6ft), kingsize (5ft), double (4ft 6), small double (4ft) and single (3ft). 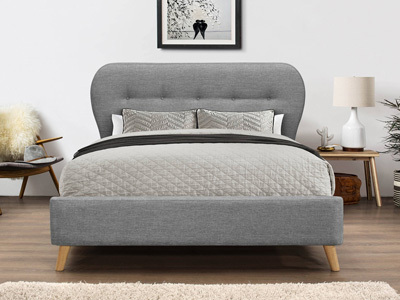 One of our most popular wooden bedsteads, that comes in 3ft single and 4ft small double sizes is the Juliette bedstead handcrafted by Dreamworks beds. 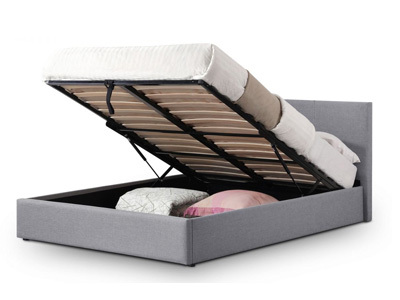 They have a reputation for providing top-quality sleeping experiences, using only premier materials on the market. 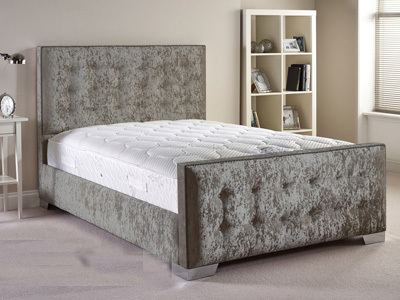 Combining modern production techniques with a high-level of craftsmanship, they are able to produce some of bedstar.co.uk’s premier bedsteads. 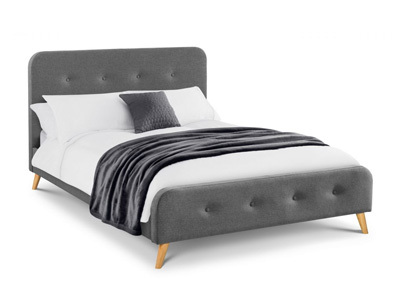 Two’s company, but is three a crowd? 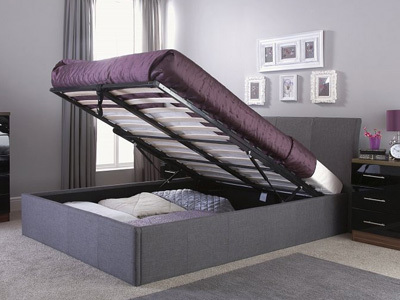 With a 4ft small double bed you have enough space for two people sharing, or one person to have enough space to stretch. 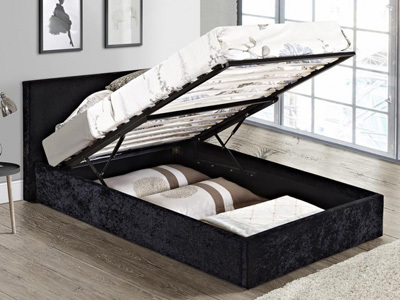 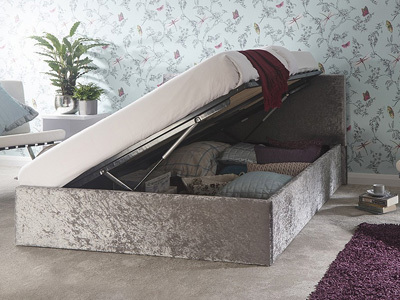 Due to a decreased amount of space in the common household smaller fabric beds are becoming a necessity and that is why we stock a wide range of small double and double beds. 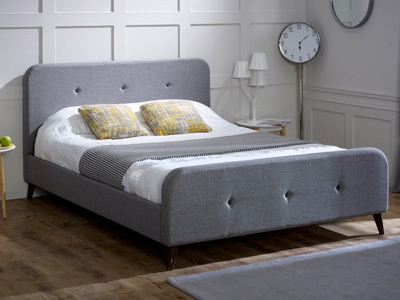 Bedstar also stocks the Oasis fabric bedstead, which is manufactured in the UK by Stuart Jones. 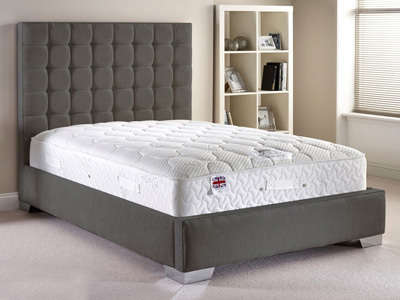 Established in 1973, they have earned their reputation as one of the UK’s leading bed retailers. 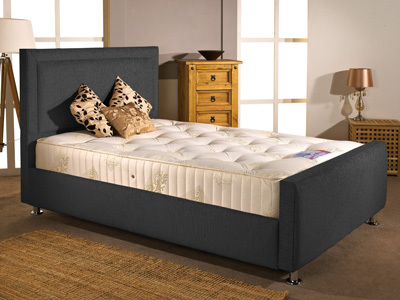 The Oasis is available in a variety of colours and fabrics and comes with a delivery lead time of 4 to 6 weeks. 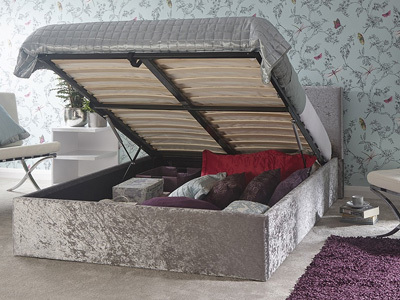 Both the Oasis and Juliette are available in 5ft kingsize and 6ft super kingsize fabric bedsteads. 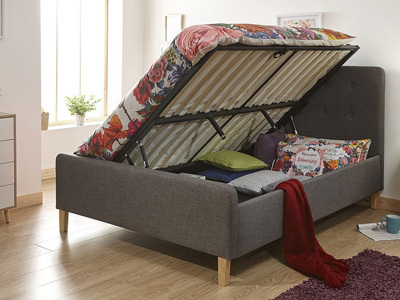 Delivered in flat pack form, they will require self-assembly, but don’t fear, they’re simple and easy to build. 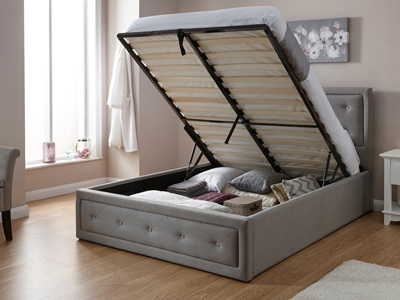 Once you’ve made your order Bedstar will contact you to arrange a convenient delivery date. 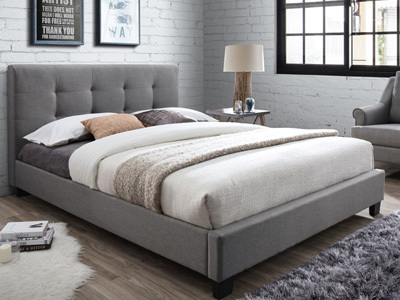 If you’d like to get in-touch with any questions then you can find our contact details here.